I'm truly interested in helping you become even freer and more discerning about the perspectives, beliefs and ideas you live by. 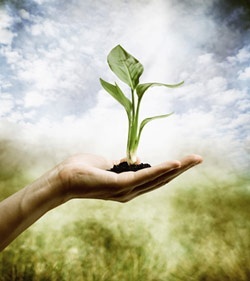 The simple fact that you're here and reading this, suggests you've already encountered and used many techniques, tools and ideas that have supported you in your personal growth, healing and spiritual inquiry. The thing is, as we grow up there are ideas that serve for a time and purpose. And there comes a time when our growing begins to ask for greater discernment, clarity and evolution of the ideas we've picked up along the way. One of the things I believe about non-personal awareness is that it is an expression of this ask. It gives us a touchstone through which we can engage in that conversation together and shift up a gear to a deeper wholeness. It's not about losing the essence of what we love about our stories of awakening, it's about becoming free to dance even more joyfully with them and allowing Grace/God/The Universe to flow even more freely through our human experience. When it comes to facilitating conscious healing and release, I'm no beginner or part timer. I was given a trememdous gift to help people navigate out of their stuckness with a smile, and I've been practicing and mastering my art for nearly 20 years. Ruth Reaser said: "I have tried physical therapy, spiritual healing and surgery, chiropractors, Reiki, hypnosis and the list goes on. In just a few minutes you were able to unblock me and eliminate the pain. I feel great!" Whatever your situation, you deserve to get it dealt with and NOW is the time! One-to-one sessions with me are an opportunity to take a joyous and transformational journey beyond your current limitations and blocks, connect with the fullness of your authentic self and allow the realisation of your innate wholeness. These sessions provide a space for honest self-inquiry and a refreshing look at who you think you are. With the approach I offer, suffering of all kinds can fall away, allowing life to become more easeful, effortless and flowing. Use these sessions as a support for the inner work you are already doing, or as the cornerstone of your path to freedom. You can take these sessions by phone or skype and there are a number of ways you can approach this, which are laid out below. I always recommend a series of sessions to make the most of the experience of self support. However, if you feel curious, and want to get a feel for working with me, a single session could be a great choice for you and the perfect way to start. In this session you will have an opportunity to target a specific area of your life where you would like experience a release, some healing or more freedom. This sessions can be a powerful lubrication to the wheels of change wherever you feel stuck and want to move into flow. Your commitment to one session per month over six months will allow you to build momentum and can facilitate a rapid shift in consciousness. You will develop the art of self-inquiry, gently become still and present to your life and let go of painful old concepts. Make this simple commitment and begin to realise peace, freedom and happiness in the key areas of your life. Committing to this six months programme also reduces your session rate and is an amazing opportunity to make a real difference in your life. 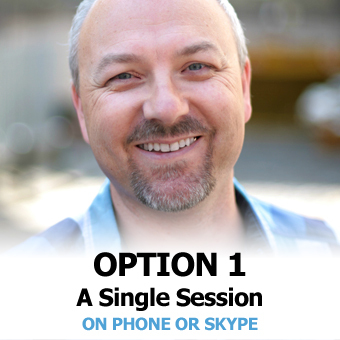 Option 3 is the same as option 2 in terms of content and structure and brings all the cummulative benefits of your decision to commit to a series of powerful sessions. If you can do this, then it's definitely the best offer on this page! Once you have paid, I will contact you to arrange a time for your session(s). If you have Skype you can use that. It is free and you get to see each other also! If not, you can use the phone and it works just fine! 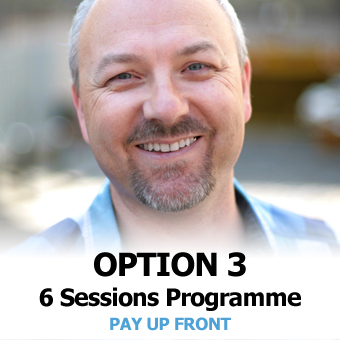 Where you are committing to a series of sessions and paying monthly, you will be charged for the first session and automatically charged monthly for the next five. Please be aware however that you are committing to the full term. The constant obsession I had felt for a long time was replaced with neutrality I had not felt before. I feel truly accepting of what is here in this moment whereas before I had constantly fought against what was happening in the now if it caused me any pain whatsoever. I truly am thankful. “I love working with awakened people who feel stuck, indecisive and tend to be hard on themselves. Nothing moves my heart more than bringing kindness, simplicity, and effortless movement into these peoples lives"
Remember, if you want to have a chat to settle any questions or get clear on what's right for you, then you can schedule a FREE 10 Minute Clarity Session with me using this link. Joel originally worked in IT & Marketing in the field of Orthopaedics. The move into alternative health care came as a result of a loved one's illness. On encountering other healing approaches, he became fascinated with consciousness and the mind-body connection. Events led him to meet Brandon Bays as she embarked on introducing the world to The Journey™ Process. He began practising The Journey™ in 1995 and when Brandon first offered Accreditation in 1999 he jumped at the opportunity. Joel quickly built a reputation at Journey events for his incredible ability to facilitate even the trickiest cases in an effortless way. He became lead trainer for Brandon and was one of the first to be asked to Present The Journey Seminars, which he did in in Europe, USA & the Middle East. 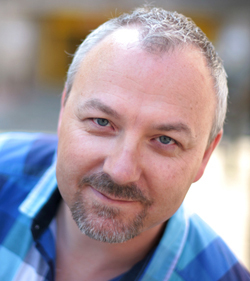 Described by Brandon as "A living expression of Grace" and "The best therapist in the northern hemisphere", Joel's vast experience makes him a master of facilitating release, freedom, healing & awakening and is the foundation of his practice in Harley Street (London) and internationally by phone and Skype. Over the years, Joel has also trained in NLP, Shamanism, and The Work of Byron Katie (Author of 'Loving What Is'). He has appeared on international radio and has contributed to and written magazine articles published around the globe. 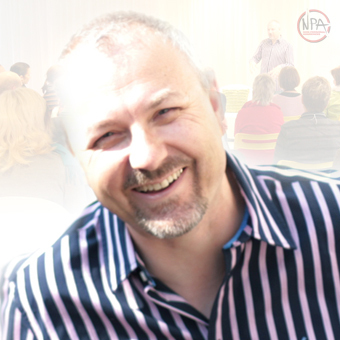 These days, Joel is best know as the Creator & Custodian of NPA (The Non-Personal Awareness Process) and, as an international teacher & speaker, has become a leader in the field of Human Consciousness in his own right. Joel continues to use all his skills as part of his private practice and loves to put his near 20 years experience of healing & facilitation to powerful effect in a one-to-one situation.